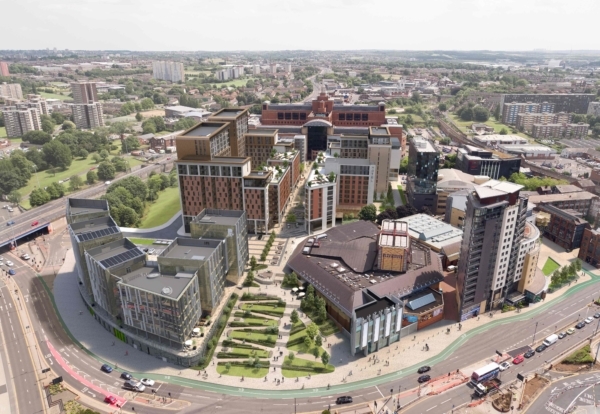 Caddick Development has got the green light for the first phase of it flagship £300m mixed-use scheme at Quarry Hill in central Leeds. 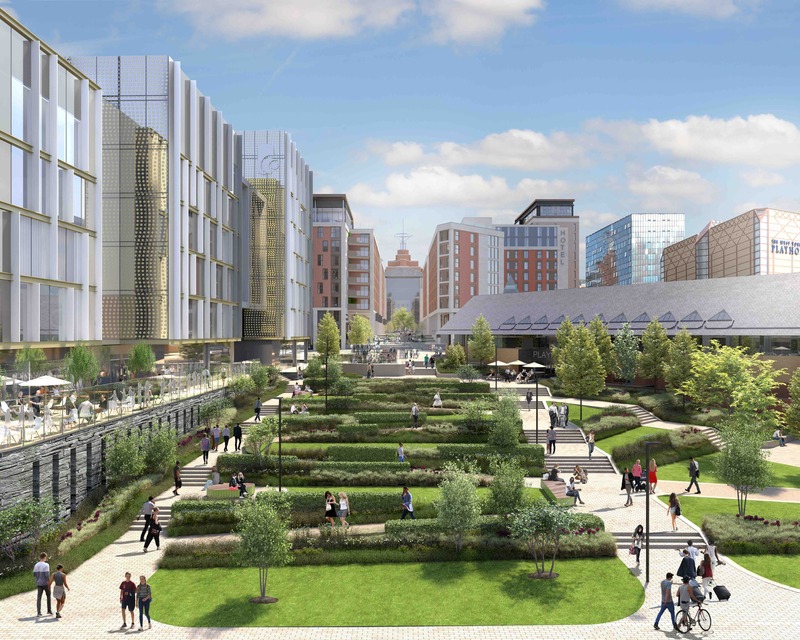 The new district named SOYO – (SOuth of YOrk road) – will transform a six-acre site with apartments, bars, restaurants, a hotel and multi-storey car park. Construction work will start later this year on the initial phase of 515 units, named New York Square. The first phase will consist of two 16-storey blocks designed by DLG Architects, sitting alongside new public realm as well as 9,000 sq ft of co-working space within the wider masterplan. Once completed, the homes will be managed for the long-term under Caddick’s Moda brand, with a 24-hour concierge service and round-the-clock maintenance provided. The Moda model is based on what is available to renters in the United States, where professionally managed rental apartment complexes filled with amenities – known as ‘multifamily housing’ – have been around for decades. 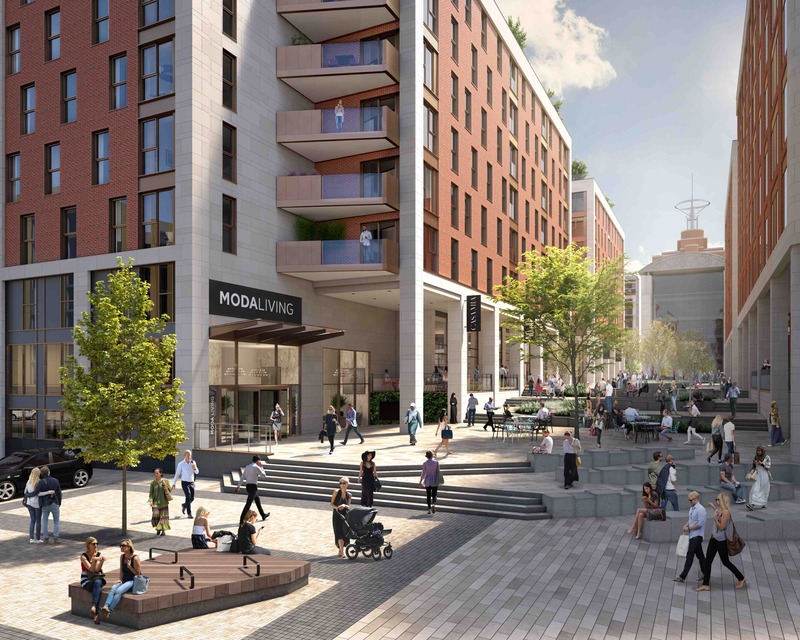 Backed by Apache Capital Partners, Moda has a £1.75bn development pipeline of 6,500 homes, with high-profile city centre schemes underway in Birmingham, Edinburgh, Glasgow, Liverpool, Manchester as well as Leeds. 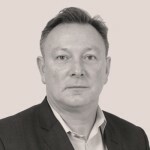 The Caddick Group is aiming to inject a sense of New York’s East Village and San Francisco’s SoMa districts to Leeds by working with the existing cultural institutions such as the BBC, Leeds City College, Leeds College of Music, the Northern Ballet, Yorkshire Dance, Phoenix Dance, West Yorkshire Playhouse, the Wardrobe and Future Sounds. SOYO was recently announced a principal capital partner, along with solicitors Irwin Mitchell, for West Yorkshire Playhouse, which will see the developer financially and practically support the Playhouse during its £14m face-lift due to start in June. Neighbouring Leeds City College is onsite with a £57m new campus, revolutionising the city’s digital, creative arts and health sciences provision.